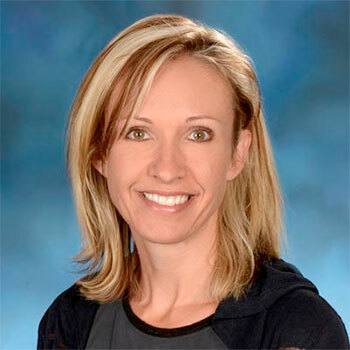 Sharon Hoover (PhD) will share her research in the area of multi-tiered supports for students exposed to trauma. Following her talk, Hoover will join four local social work and education experts for a discussion about the practical implications of a trauma-informed approach at schools in the Waterloo Region. To register: Select 'FSW_Trauma Informed Schools: Multi-tiered supports for student mental health' located at the online course store. Note: The course listing is alphabetical. This event was made possible thanks to a generous donation by the Bowers Family. Sharon Hoover (PhD) is a leading figure in advancing school mental health research, training, policy and practice. She is a licensed clinical psychologist and an associate professor at the University of Maryland School of Medicine, Division of Child and Adolescent Psychiatry. After providing direct mental health promotion and treatment service for several years in the Baltimore City Public Schools, she was appointed as director of research for the national Center for School Mental Health (CSMH) in 2002. Trauma-responsive schools and trauma exposure among youth and families has been a major emphasis of Hoover’s research and clinical work. Since 2004, she has worked with the National Child Traumatic Stress Network, Treatment Services Adaptation Center for Resiliency, Hope and Wellness in Schools, to train school district and school leaders, educators and support staff in multi-tiered systems of support for psychological trauma. As a certified national trainer for Bounce Back, the CBITS (Cognitive Behavioral Intervention for Trauma in Schools) Program, and the SSET (Support for Students Exposed to Trauma) Program, Sharon has trained school and community behavioral health staff and educators in districts across the United States, as well as internationally. She has provided consultation on building trauma-responsive, school-based mental health systems in Canada, China, Northern Ireland, South Korea, and Ukraine. Laurie Robinson worked in child welfare and children’s mental health sectors before to starting her own consulting business in 2011. She enjoys working at the policy and community based levels of care and is a strong advocate for implementing trauma-informed services. Robinson has pursued extensive study on a variety of approaches that cover all service sectors, including mental health, education, addictions, developmental services, homelessness and the justice system. Robinson teaches trauma-informed theory and practice in the trauma certificate at Wilfrid Laurier University, is active in presenting at conferences and consults to service agencies interested in the implementation of trauma-informed practice at the organizational and clinical levels of service. Michelle Sutherland is the executive director of White Owl Native Ancestry, an organization funded by Waterloo Region District School Board and the Ministry of Children and Youth Services to provide Indigenous child and youth clinical services. She has seven years of experience in trauma-informed practice, particularly the use of interpersonal neurobiology (IPNB) for healing Indigenous intergenerational trauma (spirit-mending). Barbara Ward is an expert in children’s mental health and well-being with over 25 years’ experience in the field. She is currently the mental health lead with the Waterloo Region District School Board, influencing the education system as it attends to student mental wellness. Her work, in part, is focused on equipping staff with resources for implementing everyday practices in schools such as mindfulness, self-regulation strategies and other universal practices to incorporate well-being into student’s lives. Ward recently completed her PhD in Psychology with the Taos Institute and Vrije University Brussels, Belgium and also has a Master of Social Work (MSW) from Wilfrid Laurier University. Keeping my students and staff safe, happy and learning is at the forefront of everything I do as the proud principal of Rockway Public School. I have been an administrator for the past seven years and continue to love my job and learning. The Waterloo Region District School Board is where I attended school as a student. After I graduated from York University I started my career as a teacher in the Toronto District School Board at a downtown school named Regent Park. I also worked for the Peel District School Board as an Early Literacy Teacher before I returned to Kitchener-Waterloo and taught kindergarten to grade eight. Instructional leadership is my passion and I have completed my master's in Educational Leadership. I enjoy spending time with my family, going to hot yoga and learning from my colleagues.